This past weekend I stayed with my sister in Myrtle Beach, SC for her birthday. She and her husband live in the CUTEST little townhouse surrounded by palm trees and only 10 minutes from the beach! It was such a great place to stay! Not only was the location perfect, but throughout the whole weekend I couldn’t help but notice what amazing hosts my sister and her husband were! I felt totally comfortable and had all the essentials I could ask for! Forgot my towel? No problem. Forgot my shampoo? She had some. Forgot blankets? She gave me 5. Needed a snack? They made freshly baked brownies (yum!). It was such a wonderful weekend and I left there feeling like my sister was definitely the “hostess with the mostest”! Do you need some help hosting your next guests? Below you will find a couple of ideas and tips to help you get your home ready! When you’re expecting guests, the golden rule should always be to go above and beyond the expected! Start by brainstorming through their day. The first thing they will probably do after settling in their room is freshen up. Make sure you have extra toiletries (shampoo, razors, body wash, lotion, toothbrush, toothpaste, etc.)! 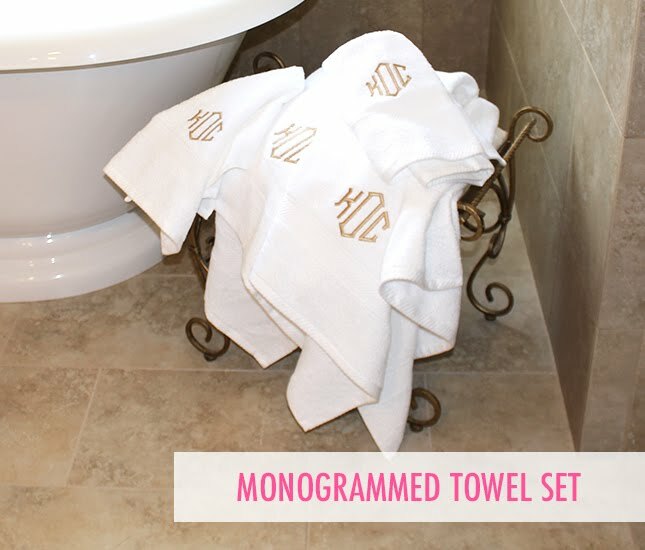 And to add a luxurious touch, invest in an adorable monogrammed towel set like these at Marleylilly! Your guests will definitely feel like they are receiving the spa treatment with these comfy towels! And don’t forget to have plenty of blankets handy! 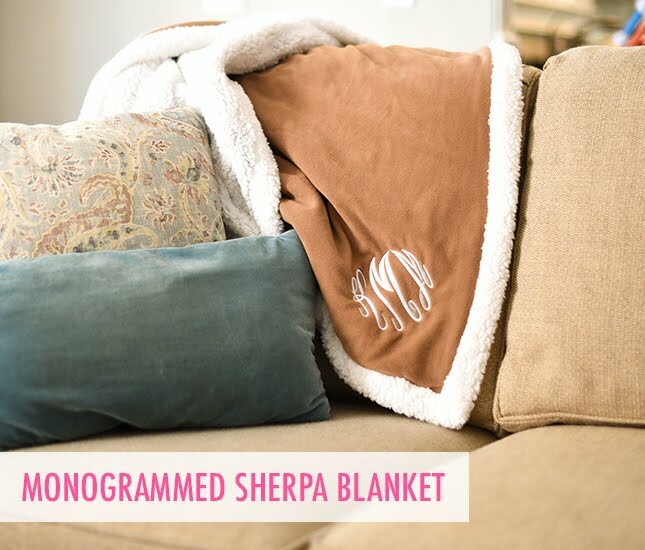 Marleylilly also has these Personalized Sherpa Blankets that are SUPER warm and cozy! 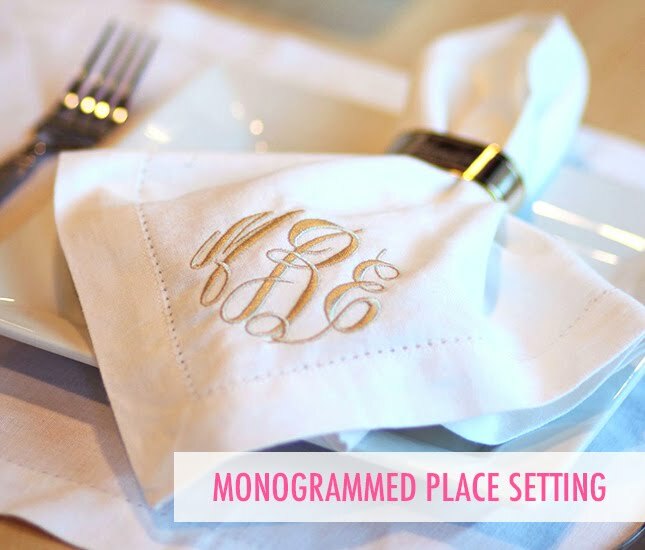 Want to check out more monogrammed housewares? Click here to shop even more personalized items for your home! Another tip is to make sure you plan a few fun things to do and also organize your guest's transportation if they need to be somewhere. If your guest doesn’t have many plans, think of some things they may enjoy doing. That could be as simple as relaxing at the house, playing games, going to the mall, dining at a local restaurant, or riding around town. Make sure you don’t go too overboard, but also make sure you have some options planned just in case your guest wants to go out! One of the things I enjoyed about staying with my sister this past weekend was how she and her husband took me to all the best places in Myrtle Beach. They were like the ultimate city guides! If you’re not sure what events are going on in your city, check out this article. Here you will find some apps that will help you find out what events are going on near you (concerts, festivals, markets, bands…etc)! The next thing to think about is food. Who doesn’t love snacks!? If you know some special treats your guests like, grab them at the store before they arrive. It will make them feel so special! Also, make sure to ask them about any food allergies and likes/dislikes they may have. If you’re planning on cooking dinner for everyone one night, come up with a couple of recipes and let your guest decide which one sounds best! And just because you’re the host doesn’t mean you need to spend an arm and a leg on food. To find some fun snack and meal ideas, check out Delish.com! They have TONS of recipes! Here’s a helpful article with “52 Cheap And Easy Dinner Recipes”! 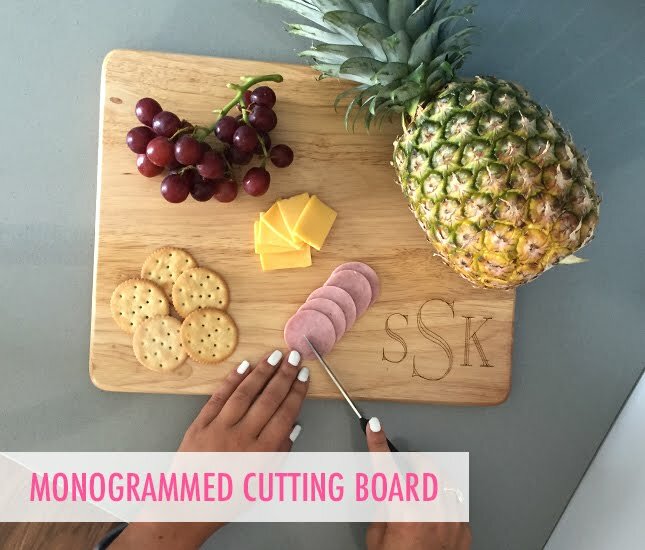 And if you really want to impress your guests, consider purchasing some personalized dining items such as placemats, napkins, cutting boards and cheese trays from Marleylilly! It will add a perfect touch of class to any meal or snack! Happy hosting! 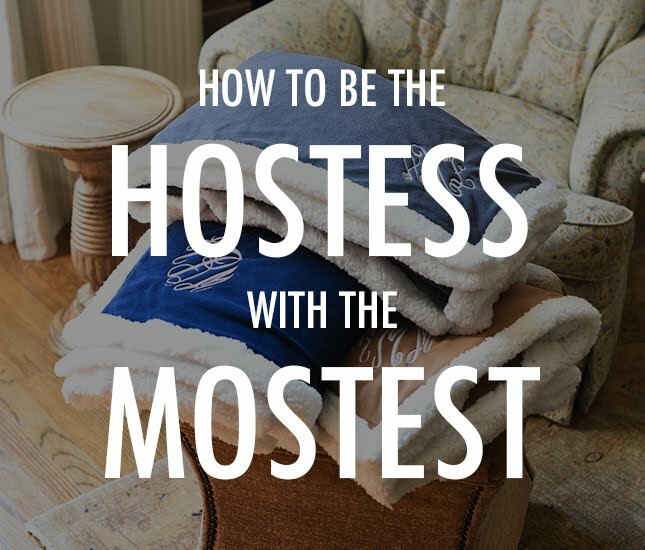 Let us know what advice you have for all our hosts/hostesses out there below!